The Christmas lights might be busting out all over, but here at Æ, we don’t really believe that the Christmas season starts until the Edinburgh Gang Show hits the stage of the King’s. So we have been watching social media with real anticipation over the last few days. The cloudburst of fireworks over George Street for Light Night on Sunday were fun – but the real tonic was the sequence of pictures from the King’s as the crew did their get-in and the full cast got their first look at the venue this year. First look at a scene from the Edinburgh Gang Show 2018 on-stage dress rehearsal. Pic: Ryan Buchanan Photography. One of the great things about the Gang Show is the huge and mighty, volunteer back-stage team which makes the whole thing work. It’s got to be good: there are something like 250 performers on the King’s stage and making sure that every one of them gets to the right place at the right time in the right costume is a logistical nightmare all of its own scale. This is the 59th Edinburgh Gang Show – the first was in 1960 – and what is really noticeable about that team is that most, if not all, are veterans of the show themselves. It makes for a tight-knit community and a sense of camaraderie which spills out into the performance as well. But you don’t get a great show, guaranteed to thrill cynical old journalists who have never had anything to do with the scouting movement, just by being well-drilled. And in previous decades, no matter which way you paint it, the effort on stage was decidedly old-fashioned to the point of being risible. The 21st Century Edinburgh Gang Show is a thing of its own delight, however. 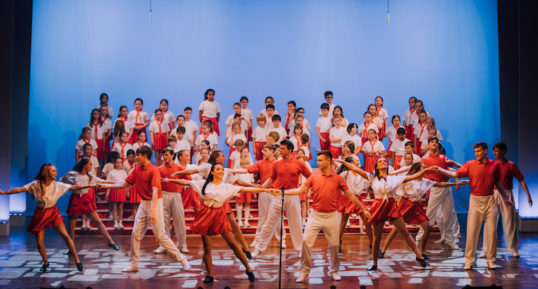 It sticks to the traditional Gang Show format, but is as upbeat and modern as audiences have come to expect of an evening’s entertainment on the town. The news from stage door on this year’s material is a healthy dose of big ensemble numbers featuring medleys from such new musicals as Hamilton, Anastasia and Dear Evan Hansen. Alongside brand new sketches and songs written especially for this year’s show. This brilliantly atmospheric shot shows the on-stage dress rehearsal of the finale. Performed to an empty theatre… Pic: Ryan Buchanan Photography. And, besides numbers featuring music from The Proclaimers and Andra Day, the musical concerning a certain Spongebob Squarepants will be in evidence, thanks to the generously endowed funny bones of director Andy Johnston, choreographer Louise Williamson and their MD Andrew Thomson. 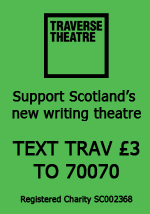 The ethos of giving back to the Gang Show once you have become too old to be on stage starts right at the top. Johnston was once in the chorus himself and with this, his sixteenth show as director, becomes the longest running director in the history of Edinburgh Gang Show. Both his predecessors, Gordon Blackburn and David Clayton, completed 15 years as director. 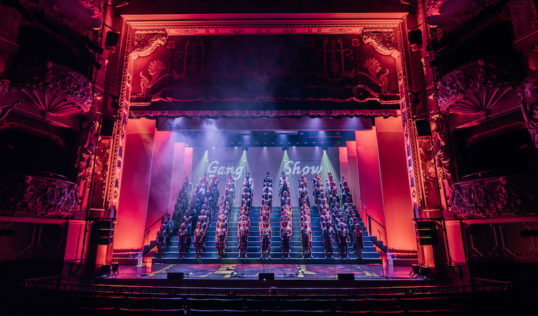 “It is a testament to everything Gang Show, Scouting and Girlguiding stand for that for the last 46 years, the Director of the show started off as a kid in the show,” he says. There is no doubting that the general appeal of the Edinburgh Gang Show goes beyond giving its core audience of Cubs, Brownies, Scouts, Guides, Explorers and Leaders a night of live entertainment. But giving people a chance to take part is also a big part of the show, as testimonials from a couple of this year’s participants point out. At All Edinburgh Theatre, we simply say: Let the festivities commence! Tuesday 20 to Saturday 24 November 2018. Evenings: 7pm; Matinee Sat: 2.15pm.